Washington, D.C., November 23, 2005 - The nuclear war plans that constitute the Single Integrated Operational Plan have been among the most closely guarded secrets in the U.S. government. The handful of substantive documents on the first SIOP -- SIOP-62 (for fiscal year 1962) -- that have been the source of knowledge about it have been declassified, reclassified, re-released, and then closed again, fortunately not before key items had been copied at the archives. (Note 2) More about the SIOP remains unknown than known to the public and important details such as targets systems, weapons assignments, and bomber and missile routes have remained top secret for years and may remain so indefinitely. Federal agencies routinely deny large portions of documents with information on the SIOP. Nevertheless, significant information about U.S. nuclear war plans as they evolved through the late 1960s and early 1970s has been declassified through FOIA requests, mandatory reviews at the National Archives, and routine declassification. With this briefing book, the National Security Archive publishes for the first time recently declassified documents on nuclear war planning during the years of the Nixon presidency. Declassified documents show what the SIOP had become during the Nixon administration. Originally a plan for a single massive nuclear strike launched either preemptively or in retaliation against the Soviet Union and the Soviet bloc (Note 3), under the influence of the Kennedy administration the SIOP became a set of plans with five major options for nuclear strikes. Preemption was always an option but preemptive attacks depended on the availability of strategic warning intelligence showing that a Soviet attack on the United States was imminent. If, however, the U.S. authorities had tactical warning information, e.g. the 15 minutes provided by Ballistic Missile Early Warning System (BMEWS) radars, showing that the Soviets had already launched missiles, they could order retaliatory strikes. ALPHA: to destroy Soviet and Chinese strategic nuclear delivery capabilities located outside of urban areas. This task included the destruction of high-level Chinese and Soviet military and political control centers. BRAVO: to destroy non-nuclear Soviet and Chinese conventional military capability (including barracks, tactical air fields, and the like) located outside of urban areas. CHARLIE: to destroy Chinese and Soviet nuclear weapons capabilities located in urban areas, as well as 70 percent of the urban-industrial sector. a preemptive strike against ALPHA target categories. In 1971, this strike required some 3200 bombs and missile warheads (including multiple independently retargetable reentry vehicles or MIRVs) to destroy 1700 installations. a preemptive strike against ALPHA and BRAVO target categories. In 1971, this strike required some 3500 programmed weapons to destroy 2200 installations. a preemptive strike against ALPHA, BRAVO and CHARLIE target categories. In 1971 this would have involved some 4200 programmed weapons targeting 6500 installations (some of which were adjacent or "co-located"). a retaliatory strike against ALPHA, BRAVO, and CHARLIE target categories; in 1971 this required some 4000 programmed weapons targeting 6400 installations (some of which were co-located). a retaliatory strike against ALPHA and BRAVO target categories. In 1971, the exercise of this option required 3200 programmed weapons to destroy 2100 installations. Besides the attack options, the SIOP included "withholds" for excluding attacks on some targets. For example, attacks on major command and control installations in Moscow and Beijing could be withheld if U.S. command authorities wanted to preserve lines of communication with the Soviet Union or China. Attacks on entire countries, e.g. China, Poland, or Romania, could also be withheld if they were not in the war or for other political or military reasons. Some 600 weapons were slated for a maximal attack on Chinese military and urban-industrial targets. Just like senior national security officials in the current Bush administration, who seek to make nuclear weapons more useable by assigning them bunker-busting missions, the Nixon Administration wanted to be able to construct nuclear threats that were more credible than the catastrophic SIOP options. During a visit to the Pentagon in late January 1969, only days after the inauguration, Richard Nixon and Henry Kissinger received their first SIOP briefing; they were startled by what they heard in part because they found the attack options to be unbelievable and unusable for East-West crises in Europe, the Middle East, or Asia. Previous presidential administrations had promoted the idea of a wider, more discriminating, range of nuclear options and the RAND Corporation and the Air Force were analyzing the possibility through the NU-OPTS studies. Believing that the president should have military options other than an unbelievable threat of massive nuclear attacks, Kissinger began pushing the national security bureaucracy to come up with ideas and plans for the more selective use of nuclear weapons that would be more useful for political threat purposes and even for actual military use. During the months that followed, White House pressure on the bureaucracy produced scant results, although eventually the Pentagon became more responsive to Nixon's and Kissinger's interest in strategic alternatives. From 1972 to 1974 an internal Pentagon study laid the way for an interagency study that presented the rationale for escalation control and selective nuclear targeting. Although some voices inside the government raised doubts about the possibility of controlling nuclear escalation, Kissinger brushed them aside. By early 1974, President Nixon signed a national security decision memorandum directing the preparation of a "wide range of limited nuclear employment options" that could be used to demonstrate the seriousness of the situation to an adversary as well as show a "desire to exercise restraint." This briefing book also includes documents on Nixon-era planning to make nuclear weapons more useful politically and militarily. A recently published article by the editor of this compilation provides more information on the SIOP as it stood during the Nixon administration and the White House's search for limited nuclear options; see William Burr, "The Nixon Administration, the 'Horror Strategy,' and the Search for Limited Nuclear Options, 1969-72: Prelude to the Schlesinger Doctrine," in the summer 2005 issue of The Journal of Cold War Studies. More information on SIOP reform during 1972-1976 appears in William Burr, "'Is This the Best They Can Do?,' Henry Kissinger and the Quest for Limited Nuclear Options, 1969-1975," from Vojtech Mastny, Andreas Wegner, and Sven S. Holtsmark, eds., War Plans and Alliances in the Cold War (London: Routledge, 2006). Both articles draw on archival records and other declassified material, some of which appears below. On January 27, 1969 President Nixon lunched at the Pentagon with Secretary of Defense Melvin Laird and then received a briefing at the National Military Command Center. Prepared by Colonel Don LaMoine of the Joint Staff, this is the text for the briefing on the latest version of the war plan, SIOP-4, as prepared by the Joint Strategic Target Planning Staff (JSTPS) under the supervision of the Joint Chiefs of Staff and the Secretary of Defense. SIOP-4 was a revision of SIOP-64, which was in turn an update of SIOP-63. The basic options remained the same; SIOP-63 set the mould for U.S. nuclear war plans through the mid-1970s. The Air Force has withheld key portions of this briefing but documents 2 and 3 which follow provide information on some of the major excised portions, such as the discussion of the NSTAP and the SIOP options. This memorandum by NSC staffer Lawrence E. Lynn, Jr., includes invaluable information on the NSTAP and the SIOP options. Lynn's memo was a response to requests from Henry Kissinger for concepts of, and plans for, smaller, less destructive, strike options that would enable the White House to make nuclear threats that were supposedly more credible to an adversary than a catastrophically massive SIOP strike. Lynn's attempt to develop the concept for an alternative strike plan included a critique of a JCS report prepared earlier in the year that argued that the SIOP was fine as it was and that trying to change it would weaken the plan. The JCS report, as transmitted with a memo from Secretary of Defense Laird, is attached to Lynn's memo. Kissinger scrawled his puzzled query to his military assistant, Colonel Alexander Haig--"What does this mean?" --on the top of Laird's memo. Important detail on the NSTAP and the SIOP can be found in a long report prepared during 1971 by an NSC subcommittee, the Defense Program Review Committee, chaired by Henry Kissinger. The Committee looked exhaustively at the U.S. military posture and budgets, with a close look at the SIOP and the risks and benefits of developing limited nuclear options (pages 45-56). The declassified report includes significant information on the NSTAP and the SIOP, including options and numbers of weapons and targeted installations (see pages 27-28). Incorporated into the report was a critical assessment of the SIOP that drew upon a major JCS study of the SIOP (see document 15b below). According to the assessment U.S. strategic forces "cannot destroy a significant part of the Soviet nuclear delivery capability" which meant that they "cannot significantly limit damage to the United States and its allies." Nonetheless, U.S. nuclear forces could "inflict damage on 70% of the war-supporting economic targets in the USSR and China." In addition, the study provides additional estimates of "prompt" or immediate fatalities (from blast, radiation, etc.) that would be caused by a U.S. retaliatory attack on the Soviet Union (see page 18). Returning from a trip to Florida on May 11, 1969 President Nixon flew back on the National Emergency Airborne Command Post (NEACP), a Boeing 707 (or EC-135) which was designed for commanding military forces during a crisis. There Nixon participated in a text exercise which probably involved practicing the SIOP options. Nixon's chief of staff H.R. Haldeman observed that "it was pretty scary." Nixon "asked a lot of questions" especially about the "kill results. Obviously worries about the lightly tossed about millions of deaths." This transcript of the discussion during a National Security Council meeting does not go into the SIOP but it provides some insight on strategic thinking early in the Nixon administration, including recognition of the danger, and possibility, of launch-on-warning and the weakness of U.S. nuclear guarantees to allies. Kissinger also showed his interest in limited nuclear options by discussing the possibility that the superpowers would avoid massive nuclear attacks on each other by resorting to "smaller packages." When Nixon came to power and appointed Kissinger as his national security assistant, the latter began issuing requests for studies to the military and foreign policy bureaucracy, in part to get a better grasp of key issues but also to keep the agencies absorbed in this work so they would not interfere with White House decisions. One of the requests, National Security Study Memorandum 3, asked for a study of the U.S. military posture and the balance of power. The NSC Review Group, an interagency committee chaired by Kissinger, discussed the draft of the NSSM 3 study during a meeting in late May 1969. About half-way into the meeting, the conversation turned to the possibility that the Soviets might launch a limited, "discriminating," nuclear attack instead of a massive nuclear strike. Kissinger implied that such an attack was possible because it was not rational "to make a decision to kill 180 million people," but R. Jack Smith, Deputy Director for Intelligence at CIA, argued that a limited attack was the "least likely contingency - one could not believe that the Soviets would launch a few nuclear ICBMs against the US." The response to NSSM 3 was slated for discussion at an NSC meeting on June 18, 1969. The package of materials that the NSC staff prepared for Nixon and Kissinger included some discussion of the problem of discriminating nuclear strikes, now characterized as "disarming attacks" or "less than all-out strikes" on nuclear forces, partly as a means to improve the attacker's "relative military position" but also as a way to bring a war to a halt in order to avoid strikes on cities. Kissinger and the NSC staff saw this "as the most sensible strategy for us to consider under the extreme pressures of a nuclear crisis or threat." The reports also included criteria for "sufficiency" that the Nixon White House would use as a yardstick for evaluating the "adequacy of U.S. strategic forces" as well as the suitability of strategic arms control agreements with the Soviets. Coined by Henry Kissinger, the "sufficiency" concept aimed at making the new administration's strategy look innovative and moderate, deploying enough forces to deter without looking inordinately aggressive. Kissinger's search for "more discriminating options than the present SIOP," which would be appropriate for the "kinds of situations which the President might actually face in a crisis," led to a request for Nixon's approval of a new National Security Study Memorandum, NSSM 64. The request, which Kissinger signed on July 8, 1969, did not explicitly mention the SIOP or "discriminating options" but nonetheless tasked the Defense Department to evaluate how well U.S. strategic forces would stand up to strategic nuclear attacks in terms of their "capability to deter and respond to less than all-out or disarming Soviet attacks" as well as a "a range of possible war outcomes." Other problems to be studied were force mixes, command-and-control improvements, and possible changes in the criteria for strategic sufficiency. During the late 1960s and early 1970s, the RAND Corporation and the U.S. Air Force undertook a series of studies--"NU-OPTS"--on the possibilities and potential of "selective nuclear operations" as an alternative to the massive SIOP options. (Note 9) A key figure on the Air Force side was General Richard Yudkin, whose Los Alamos speech gave a highly positive assessment of NU-OPTS as an "additional option short of full-scale nuclear attack [which] can make more politically credible our international commitments which are not directly related to national survival." While Yudkin acknowledged that once some nuclear weapons were used, pressures for all-out attack-"executing the Assured Destruction capability"-would increase on both sides, he argued that those pressures "will not reach the same magnitude as the pressures against" such an attack. 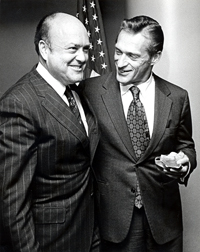 "I believe this resistance to the launching of Assured Destruction will hold up on both sides-in the USSR as well as the U.S." NSC staffer Alexander Haig was enthusiastic about NU-OPTS, although it is unclear whether Kissinger learned about the studies or even if Yudkin gave a briefing to top officials at the Pentagon. The NU-OPTS work presaged, and possibly influenced, the Foster Panel's work on limited nuclear options (see documents 16, 18, and 19), although more needs to be learned about the relationships. The study that the Pentagon prepared in response to NSSM 64 remains classified, but an Institute for Defense Analyses history prepared several years later summarized its "gloomy" conclusions about the command and control requirements for conducting limited strategic war. According to the NSSM 64 study, despite the U.S.'s "good capability" to "execute a preplanned attack," its "Command Centers do not possess the combination of survivability and capability which is required for the conduct of limited strategic nuclear war." Neither the National Military Command Center (NMCC) at the Pentagon nor the Alternative National Military Command Center (ANMC) at Fort Ritchie, Maryland was survivable while the NEACP had "limited capability." Those conclusions cast cold water on the possibility of limited strategic options, but how Kissinger reacted to them remains unknown. Wanting to learn more about the SIOP, Kissinger flew to Strategic Air Command headquarters at Offutt Air Force Base in Nebraska, where he received more briefings on the strategic threat and SIOP options from the JSTPS. According to SAC's commander-in-chief (CINCSAC) and JSTPS director General Bruce Holloway, the briefings "were well received," with Kissinger showing interest in the "flexibility" of SIOP options. Nevertheless, some things Kissinger was not allowed to learn: "certain aspects of the SIOP … were deliberately not gone into." Document 13: Record of Telephone Conversation Between Henry Kissinger and Under Secretary of State Elliot Richardson, 10 March 1970 2:25 p.m. The briefing might not have been received quite as well as Holloway believed; a conversation that Kissinger had with Elliot Richardson suggested his doubts. While the discussion is not entirely clear, Kissinger appeared to have been skeptical about the "limited options" involving an "enormous number of missiles" and only a "few bombers." He also questioned SAC's identification of the Soviet SA-5 surface-to-air missile as an anti-ballistic missile: "I made them back up." 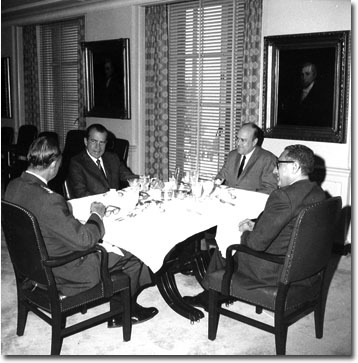 During a meeting on defense budgets at the Western White House, Nixon and Kissinger discussed the roles and missions of the services and the problem of cutting defense budgets. Nixon vented some spleen about the military bureaucracy; both the Pentagon and the Air Force had "unbelievable" layers of bureaucracy, with the latter being especially "disgraceful" in that respect. Predictably, Kissinger brought up the need to reform the SIOP--the "horror strategy" as he characterized it--but Nixon did not show much enthusiasm about ordering a study, despite Kissinger's request. Whether Secretary of Defense Laird knew about Nixon and Kissinger's discussion or not, only a few weeks later he commissioned a major evaluation of the SIOP. Certainly, Laird understood that the White House was not enthusiastic about the inflexibility in the war plans. For example, in his first annual foreign policy report, which was prepared by Kissinger's staff, Nixon questioned the lack of flexibility in nuclear war plans: "Should a president, in the event of a nuclear attack, be left with the single option of ordering the mass destruction of enemy civilians in the face of the certainty that it would be followed by the mass slaughter of Americans?" (Note 10) That concern may have encouraged Laird to support a SIOP review, but he also had his own doubts whether "some of the President's advisors" properly understood the relations between the SIOP objectives and various important criteria used for planning levels of strategic forces. To clarify those relationships and to assess the impact of possible changes in force levels on U.S. capability to fight a nuclear war, in August 1970 Laird directed the Joint Chiefs to prepare, with the assistance of Assistant Secretary of Defense for Systems Analysis Gardiner Tucker, a "detailed, comprehensive, and quantitative analysis" of the SIOP. By the spring of the following year, the Chiefs had completed the study. This heavily- excised version--even the substance of Laird's directive is withheld, despite the earlier release of the August 15, 1970 memorandum--typifies how security reviewers treat documents with SIOP information. It is worth noting that the DPRC's assessment of the SIOP (see document 4, at pp. 29-30) drew heavily on the conclusions of this JCS study. While the Foster Panel was working on its report, the DPRC study on "U.S. Strategic Objectives and Force Posture" (see document 4) provided a detailed analysis of alternative nuclear force postures. The record of a DPRC discussion of the alternatives in June 1972 shows that Kissinger continued to promote his interest in what Atomic Energy Commission chairman James R. Schlesinger called "sub-SIOP options." According to Kissinger there "was a risk of our being paralyzed in a crisis because of the lack of plans short of an all-out SIOP response." He wanted nuclear planners to start "thinking through what options could be made available to the President." Schlesinger argued that the problem required a technical solution: U.S. ICBMs needed a very accurate capability to strike nuclear threat targets--a "hard-target kill capability"--if limited nuclear strikes were to be possible. What Schlesinger had in mind was the concept of the M-X missile that was deployed during the 1980s. A month after the DPRC meeting, Kissinger learned from NSC staffer Philip Odeen, who probably drafted this paper, that the Foster panel had completed a report that was being reviewed by the Joint Chiefs of Staff. In spite of an 11-year old FOIA request by the National Security Archive, the Defense Department has not declassified the Foster Panel's report; nevertheless, Odeen's summaries (see also document 19 below) provide significant detail on its contents. Looking at ways to give command authorities the widest possible choice and to control the escalation of nuclear war, so as to limit its destructiveness, the panel developed concepts of nuclear options, including Major Attacks (essentially the current SIOP options), Selective Options, and Limited Options. By exercising limited options, Odeen argued, it might be possible to "stop the war quickly and at a low level of destruction." If, however, escalation could not be controlled and general nuclear war unfolded, the panel proposed a new objective for U.S. forces: "to minimize the enemy's residual military power and recovery capability and not just destroy his population and industry." Later in the year, with the Foster panel's report complete, Odeen filled Kissinger in on its status and Secretary Laird's interest in quick NSC-level approval of new strategic guidance based on the panel's analysis. Laird was leaving the Pentagon and wanted to see closure on nuclear policy before he left office. Odeen was sympathetic but pointed to "important gaps and major unresolved issues" such as the lack of detail in the analysis of limited and regional nuclear options and the extent to "which we should buy forces to support our [nuclear] employment policy." Nevertheless, Odeen saw value in timely action because it meant an "unprecedented opportunity to develop an overall policy for a national security issue which for too long has been out of the President's control." While the Pentagon and the National Security Council were working on studies responsive to Nixon and Kissinger's wish for options, officers at SAC headquarters had been conducting studies on their own account. (How much the JSTPS knew about the policy review at the NSC and the Pentagon remains to be learned.) During an ACDA staffer's visit to Offutt AFB, CINCSAC John C. Meyer discussed some of the attack options that were under review for "illustrative purposes." Meyer explained that actually designing limited options would require a Presidential directive and that the work would "take some time." He was also doubtful that the Soviets would see "as limited" any attack "exceeding a few missiles … particularly during a crisis." In his January 1973 memorandum to Kissinger, Odeen had recommended an interagency review, chaired by the NSC staff, to "review, revise and complete the [nuclear] employment policy and overall strategic policy guidance." As it turned out, however, John S. Foster, not an NSC staffer, chaired the interagency review of U.S. nuclear policy that Kissinger requested under NSSM 169 in February 1973. By the time that study was finished, Elliot Richardson had served his limited tenure as Secretary of Defense (becoming Attorney General as the Watergate scandal developed) and James R. Schlesinger had taken over from Richardson. Schlesinger forwarded the NSSM 169 report with enthusiasm; as he wrote to Kissinger, the study provided an "excellent basis" for consideration by NSC. While the study brought out some problems, such as whether escalation control was possible once nuclear weapons were used, on the whole it found "desirable and feasible" a new nuclear strategy based on concepts of a "greater range of … attack options," escalation control, and "targeting in large-scale retaliation those political, economic, and military targets critical to the enemy's post-war power and recovery." Some weeks after the completion of the NSSM 169 study, Kissinger met with the NSC's Verification Panel to discuss the preparation of a National Security Decision Memorandum (NSDM) instructing the Pentagon to develop the "different options that the President could absorb before a crisis develops and he is called upon to make a decision." Worried that the options might be needed someday, Kissinger explained that: "my nightmare is that with the growth of Soviet power and with our domestic problems, someone might decide to take a run at us." Kissinger, however, did not want military planners to wait for Nixon to sign an NSDM before they started developing options: "The JCS should start planning as though the NSDM were approved." Expanding the SIOP options would not be a quick process; according to Joint Staff director General Weinel, it would take up to two years partly because there were so many uncertainties, such as ascertaining which targets had to be destroyed to "do the most damage." How the Soviets would react was, for some, another element of uncertainty. While Kissinger believed that the Soviets "will be looking for excuses not to escalate," DCI William Colby observed that they "could get into [escalation] by misunderstanding or by a misguessing of indications." A reference to target categories in the PRC (see page 3) apparently disturbed Kissinger (who was then trying to develop a strategic alliance with Beijing against Moscow) and prompted him to ask General Welch: "What are you talking about? Is this on paper?" Not all in the government agreed with Kissinger on the merits of limited nuclear options. One of Kissinger's close advisers, Winston Lord, signed off on a paper prepared by several members of the Planning and Coordination Staff that took exception to the new thinking. While no one quarreled with the merits of flexibility, the Staff worried about some of the implications of the concept of "controlled nuclear escalation," including a "possible adverse impact on deterrence, overreliance on nuclear forces, and overconfidence in the applicability of nuclear escalation in a wide variety of situations." The arguments did not persuade Kissinger, who scrawled: "Good paper though I disagree with much of it." With the Arab-Israeli war, among other problems, intervening, it took some months before Kissinger was ready to present Nixon with a draft NSDM designed to facilitate the development of a "broad range of limited options aimed at terminating war on terms acceptable to the U.S. at the lowest levels of conflict feasible." The major SIOP attack options would be available when escalation could not be controlled but Kissinger claimed that the goals had shifted: instead of the "wholesale destruction of Soviet military forces, people, and industry," the options aimed at "inhibiting the early return of the Soviet Union to major power status by systematic attacks on Soviet military, economic, and political structures." If there was any meaningful distinction between destroying "people", on the one hand, and "economic" or "political structures" on the other, Kissinger did not clarify it. In any event, he presented Nixon with a decision memorandum which was signed ten days later, setting in motion the complex and difficult process of trying to expand the nuclear war options available to the White House. Preoccupied with his own political survival, Nixon was unlikely to have much interest in the follow-up to NSDM 242. NSDM-242 directed the DCI to prepare a report assessing Soviet and Chinese reactions to the U.S.'s new nuclear policies. The CIA report, directed by National Intelligence Officer Fritz Ermarth, suggested the uncertain state of knowledge about Soviet thinking on limited strategic options and the limited possibilities for controlled escalation. The Ermarth study found that the Soviets were likely to develop capabilities for "some kinds of limited nuclear operations," e.g. in the European theater or in a regional conflict with China. 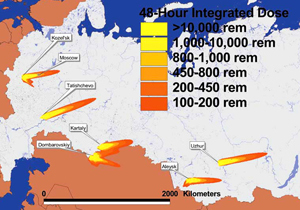 While Soviet planning was likely to continue to emphasize "massive strikes" in both regional and intercontinental military operations, Ermarth believed that over time the Soviets "will enhance their inherent capabilities for limited nuclear operations … regardless of [their] views about the feasibility of selective use options." Nevertheless, the judgment that the Soviets were "less likely to adapt limited use concepts for intercontinental nuclear operations" suggested the risks of assuming that the Soviets would find "excuses" not to escalate. As for the PRC, the Ermarth study surmised that Beijing was likely to have an interest in the "restrained" use of nuclear weapons because the leadership recognized "the catastrophic consequences for them" of an "unlimited nuclear exchange." While China's "modest inventory" of nuclear forces could facilitate the creation of Limited Nuclear Options, no evidence of Chinese interest in "selected operations" was available. 1. Statement by Henry Kissinger, 9 August 1973; see document 22. 2. For documents on the first SIOP as well as references to the published literature on the war plan, see "The Creation of SIOP-62: More Evidence on the Origins of Overkill," National Security Archive Electronic Briefing Book No. 130, at https://nsarchive.gwu.edu/NSAEBB/NSAEBB130/press.htm. 3. For early Cold War nuclear planning and the creation of SIOP-62, see David Alan Rosenberg, "The Origins of Overkill: Nuclear Weapons and American Strategy, 1945-1960," in Steven Miller, ed., Strategy and Nuclear Deterrence (Princeton: Princeton University Press, 1984), pp. 113-182. 4. For the origins of counterforce nuclear strategy, see Fred Kaplan, Wizards of Armageddon (New York: Simon & Schuster, 1983) as well as the discussion in Rosenberg, "Origins of Overkill." For the real limits to the capabilities of SIOP counterforce attacks to spare civilian populations as well as more detail on the evolution of the plan, see Matthew G. McKinzie, Thomas B. Cochran, Robert S. Norris, and William M. Arkin, The U.S. Nuclear War Plan: A Time for Change (Washington, D.C.: Natural Resources Defense Council, 2001). 5. Raymond Garthoff, Détente and Confrontation: American-Soviet Relations from Nixon to Reagan, 2nd edition (Washington, D.C.: Brookings Institution, 1994), 466. 6. Additional information on SIOP developments will appear in William Burr, "'Is This the Best They Can Do?,' Henry Kissinger and the Quest for Limited Nuclear Options, 1969-1975," Vojtech Mastny, Andreas Wegner, and Sven S. Holtsmark, eds., War Plans and Alliances in the Cold War (London: Routledge, 2006). 7. According to Kaplan, Wizards of Armageddon, at p. 269, 1960 estimates for a preemptive attack by all SIOP forces on the Soviet Union and China were 285 million fatalities. 9. Kaplan, Wizards of Armageddon, 356-360. 10. "First Annual Report to the Congress on U.S. Foreign Policy for the 1970s," February 18, 1970, Public Papers of the President of the United States, Richard Nixon, Containing the Public Messages, Speeches, and Statements of the President, 1970 (Washington, D.C.: Government Printing Office, 1971), 173. For later statements along the same lines, see "Second Annual Report to Congress on U.S. Foreign Policy," February 25, 1971, Public Papers of the President of the United States, Richard Nixon, Containing the Public Messages, Speeches, and Statements of the President, 1971 (Washington, D.C.: Government Printing Office, 1972), 310, and See "Third Annual Report to the Congress on United States Foreign Policy," February 9, 1972, Public Papers of the President of the United States, Richard Nixon, Containing the Public Messages, Speeches, and Statements of the President, 1972 (Washington: D.C., Government Printing Office, 1974), 307. 11. For a comprehensive study of the Foster Panel, based largely on interviews, see Terry Terriff, The Nixon Administration and the Making of U.S. Nuclear Strategy (Ithaca: Cornell University Press, 1995). 12. See Lynn Eden, Whole World on Fire: Knowledge, and Nuclear Weapons Devastation (Ithaca, NY: Cornell University Press, 2004). 13. For useful background on NUWEP and changes in targeting policy during the mid-to-late 1970s, see Desmond Ball, "Development of the SIOP, 1960-1983," in Desmond Ball and Jeffrey Richelson, eds., Strategic Nuclear Targeting (Ithaca, Cornell University Press, 1986), pp. 70-79.